There are so many common skin disorders which affect us. Although getting certain skin diseases are beyond our control, there are so many things which you can do to prevent getting certain skin diseases and to reduce them if you have one. Contact dermatitis is identified by itchy red color rash and also known as one of the common skin disorders caused by contact with a substance which is allergic to that particular person. Many substances are commonly found to cause an allergic reaction to certain individuals. If you know that you are allergic to a certain substance make sure you take necessary precautions to avoid it. It may be due to cosmetics, perfumes, soaps and detergents, plants like Poison Ivy, jewelry, shoes, watches, and rubber. 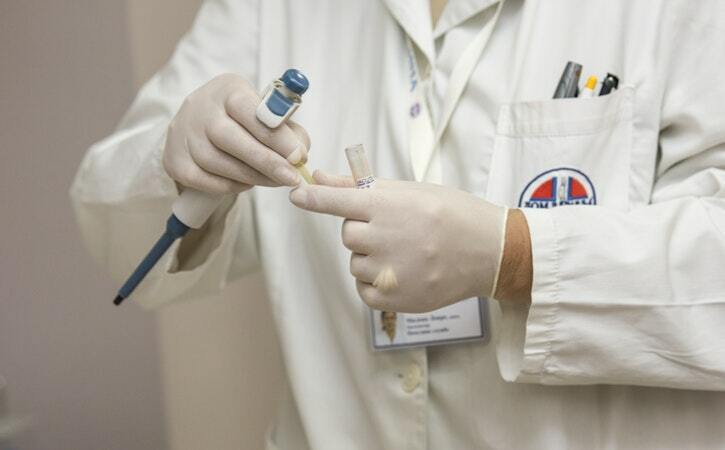 If a doctor suspects that your rash is due to an allergy, he may suggest that you undergo a patch test or an allergy test to identify which substances you are allergic to. Following the test, you may be given a list of trigger substances for you to avoid. As prevention is better than cure, by avoiding the triggers you will be safe from allergic contact dermatitis. If you are allergic to rubber make sure you do not touch anything made of rubber. For example, if you are allergic to rubber slippers, wear slippers made of leather or plastic. If you develop a reaction to cosmetics, perfumes or hair color never use it again, as it can lead to life-threatening reactions. Try changing the brand. Just because a product works for your friend it may not be so for you. If you are coming into contact with the allergen at your workplace (occupational exposure) make sure you wear protective clothing, gloves, and boots to avoid the substance thus getting the contact dermatitis rash. Factory workers, salon workers, nurses, attendants, and laborers are particularly at risk. Make sure that you are protected. Over the counter antihistamines like fexofenadine, loratadine, chlorpheniramine or cetirizine can be tried to reduce itching but should be cautious about the dose and frequency of administration. 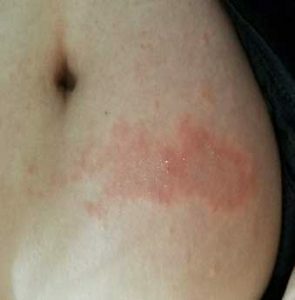 How to prevent Poison Ivy rash? Wear protective clothing, boots, and gloves when doing outdoor activities like fishing, camping, hunting etc. If your occupation is related to outdoors like gardening, farming, forestry and construction work make sure that you take measures to protect your skin from contact. If you find Poison Ivy in your garden remove those using gloves or use a herbicide to kill them. There are over the counter products which can be applied on the skin that will act as a barrier between your skin and the Uroshiol resin oil which is the irritant of the Poison Ivy plant. Clean all contaminated objects and clothing with detergent while wearing gloves or ideally in a washing machine. Skin infections occur due to various germs getting into the skin, these are the common skin disorders which can be viruses, bacteria or fungal infections. Mainly skin infections occur by touch. So for prevention proper hand washing (hand hygiene) is the most important precaution to prevent the spread of skin infections. Continue rubbing hands and scrub all surfaces of your hands, for about 20 seconds. Dry hands with an air dryer, paper towel or a clean cloth. In the instances where water and soap are not available, use a hand sanitizer which is preferably alcohol based. After applying sanitizer to your palm, rub hands together to cover all surfaces of your hands until dry. Proper personal hygiene is a must to prevent skin diseases. Do not share personal equipment like towels, razors, combs, brushes etc. Do not share your clothes, shoes, and socks with others. Do not walk barefoot in areas like common rooms, dormitories, pools etc., as there is a risk of getting viral warts. If you are an athlete make sure that the athletic gear and equipment are washed and disinfected as instructed. Antihistamines which are available over the counter can be taken in correct dose to reduce itching. To prevent “Athletes foot” which is a common fungal infection of feet wear clean and dry socks and shoes. After a shower makes sure you wipe in between toes to prevent dampness which can exacerbate fungal infections. There are certain groups of people who are more prone to skin infections such as the elderly, certain medical conditions (Diabetes, chronic kidney disease, and immunity disorders). These people should be extra careful. If there are signs of skin infections like redness, pain, swelling and oozing seek help from a doctor. How do you reduce chronic skin conditions like psoriasis and eczema? Identify exacerbating factors which worsen the disease or trigger factors which lead to new lesions. Some such factors are excessive sun exposure, stress, smoking and contact with irritants. Stress can be reduced by practicing meditation techniques, yoga, having proper sleep etc. Quit smoking if you do. It is good for the prevention of many diseases. Avoid contact with irritants or chemicals, strong detergents which can exacerbate the diseases. Both psoriasis and eczema are associated with dry skin. Moisturize your skin with a good emollient to prevent dry skin. Emollients are absorbed well to skin when applied to damp skin right after a bath. When skin is properly moisturized exacerbations are reduced. Psoriasis is known to occur in places of trauma to the skin. To avoid any form of skin damage to prevent new lesions occurring at the trauma site. Acne is caused by overactivity of the sebaceous glands in the skin. When the pores which bring the natural oils (sebum) to the skin surface from the sebaceous glands get blocked, bacteria multiply in trapped sebum leading to acne. How do we prevent getting Acne or reduce the condition? Want to get rid of these common skin disorders? Visit us and analyze your skin to get the probable skin condition.